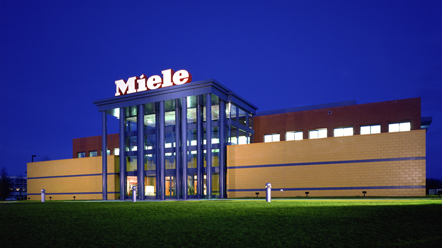 Miele USA, headquartered in Princeton, NJ is a division of Miele, the world’s largest family owned and operated premium appliance manufacturer. Throughout its 30+ year's history in the United States, the company has set industry standards for durability, performance, ease of use, energy efficiency, design and service and continues to do so. Miele USA offers a wide range of residential appliances including ranges, built-in convection, speed, steam and combi-steam ovens, cooktops, ventilation hoods, refrigeration, wine storage, coffee machines, dishwashers, floor care, laundry systems, and ironers. In addition, the company’s Professional division offers laboratory glass wear washers, medical washer-disinfectors, dental disinfectors, laundry systems, dishwashers, and a line of marine appliances.